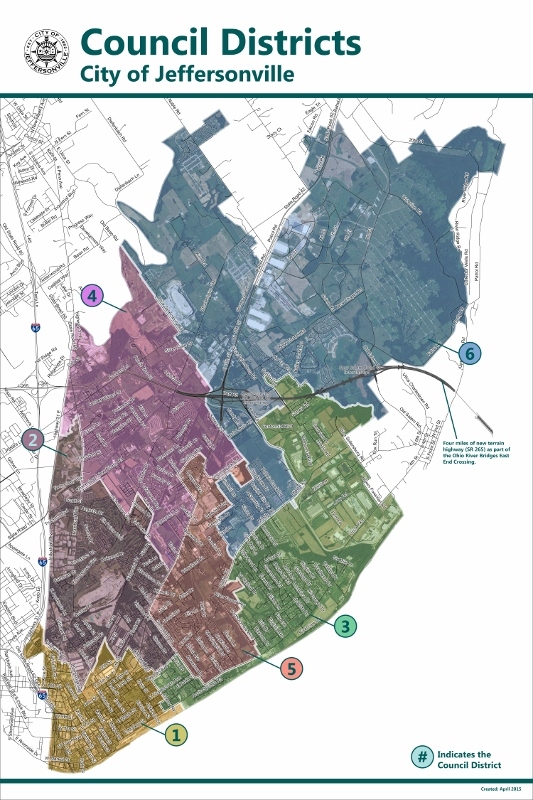 If you aren’t sure which Council District you reside in, we can help. Please call City Hall at (812) 285-6427. Or you can view our interactive map to identify your District. 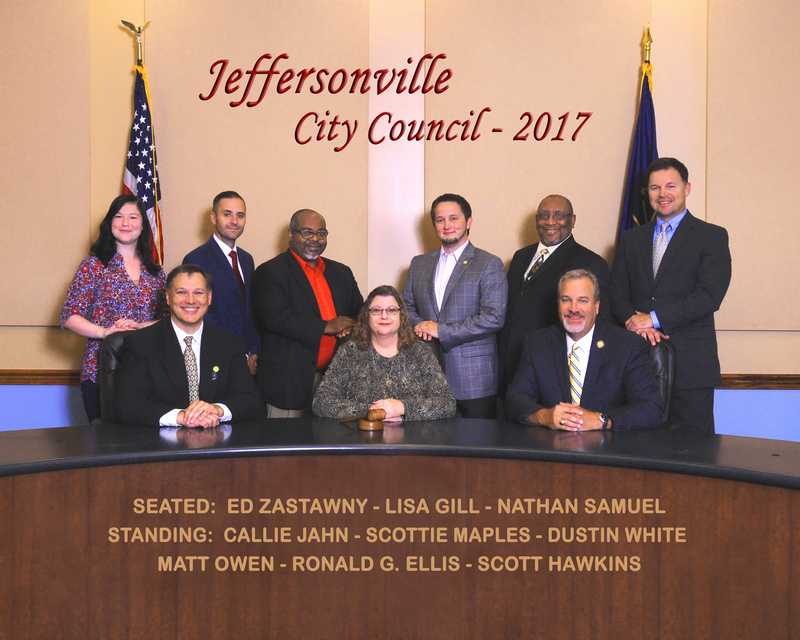 The Jeffersonville City Council meets at 7:00 p.m. on the first and third Mondays of each month in Room 101, City Hall, 500 Quartermaster Court. The City Council may amend the posted agenda at the beginning of its meeting. The Jeffersonville City Council meets at 7:00 p.m. on the first and third Mondays of each month in Room 101, City Hall, 500 Quartermaster Court., the City Council may amend the posted agenda at the beginning of its meeting. Council Meetings are posted on Facebook and YouTube. Not sure which Council District you live in? Check out the map below or click here to view an interactive map.